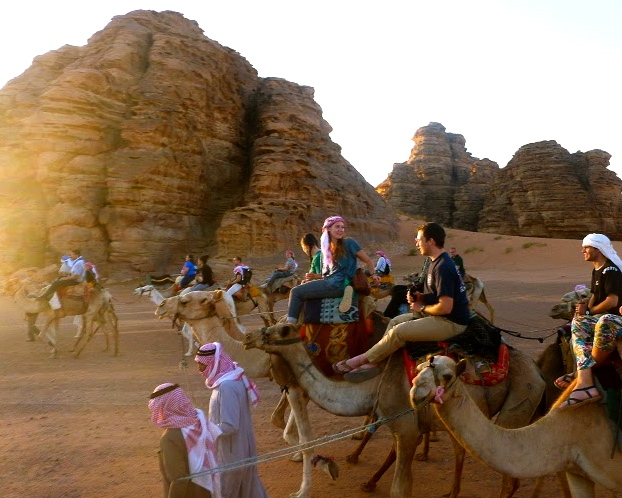 Every fall, students studying Arabic have the opportunity to study abroad in Jordan. This year, four study abroad participants who received the Arabic Study Award by the Qatar Foundation International tell their stories. Moments of disbelief like Lott’s are all too real for Jordan study abroad students in Jordan, as each student’s unique experiences resonate with the same excitement of forging human connections in the context of the culture and language they study. 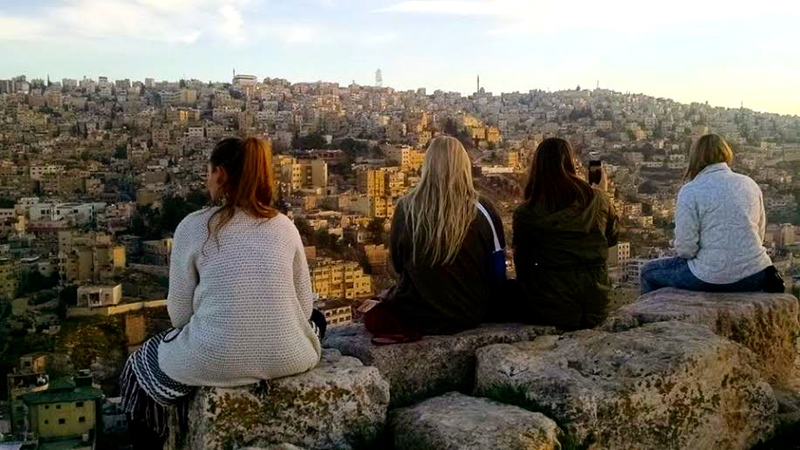 Every fall, students who hope to pursue the secondary Arabic language major are required to study abroad in Jordan for one semester. This year, four BYU students – Chase Adams (Linguistics and Arabic), Jamie Clegg (English and Arabic), Rachel Lott (Arabic) and Arianna Mueller (Middle East studies and Arabic) – received the Arabic Study Award from Qatar Foundation International, (Q.F.I.) making this trip possible. Q.F.I. has created the Arabic Language and Culture program to provide funding for Westerners – typically undergraduate students – to learn about and foster genuine connections with the culture of the Middle East. Only 26 students around the country received the award this year, and these four from BYU made the most of creating genuine connections with the people they befriended while studying in Jordan. Chase Adams found this concept of genuine connection to be true while working on an O.R.C.A. research proposal to determine the ways youth in Jordan are changing the Arabic language. In particular, he examined a dialect emerging from the confluence of Palestinian, Syrian and Iraqi cultures. Adams’ project required frequent visits to the University of Jordan, and it was there that he befriended an Islamic-born young man who had recently converted to Christianity. Adams said that this friend would call him regularly to play soccer or go running, but on one particular occasion invited him to participate in an aspect of his life that was much more meaningful. Adams continued that his experiences in Jordan also helped him to contextualize the Arabic language and his study of the Middle East. Rachel Lott found this to be true while visiting the Dome of the Rock in Jerusalem during her last two weeks of the program. A young woman recognized that Lott was foreign and started speaking to her in English. Lott switched to Arabic, and it was from that point on that Lott recalls experiencing one of the most meaningful Arabic-speaking moments of her study abroad. Lott continued that going to the Middle East and talking to people about topics such as the Arab Spring or Israeli Occupation in Palestine provided valuable insight and learning opportunities for her. Arianna Mueller said that it is this same desire to have a deep understanding of language that persuaded her to study Arabic. For Jamie Clegg, Jordanians were some of the most hospitable people she had ever met. Often she would meet someone on the street, and then the next moment they would invite her to their home to eat mansaf, the national Jordanian dish. One of her favorite memories of her study abroad, however, was sharing dinner with the family of her Jordanian friend and Arabic speaking partner, Hiba. Clegg said that though she knew her Arabic wasn’t quite perfect, she would never forget the genuine connection she felt with Hiba and her family. 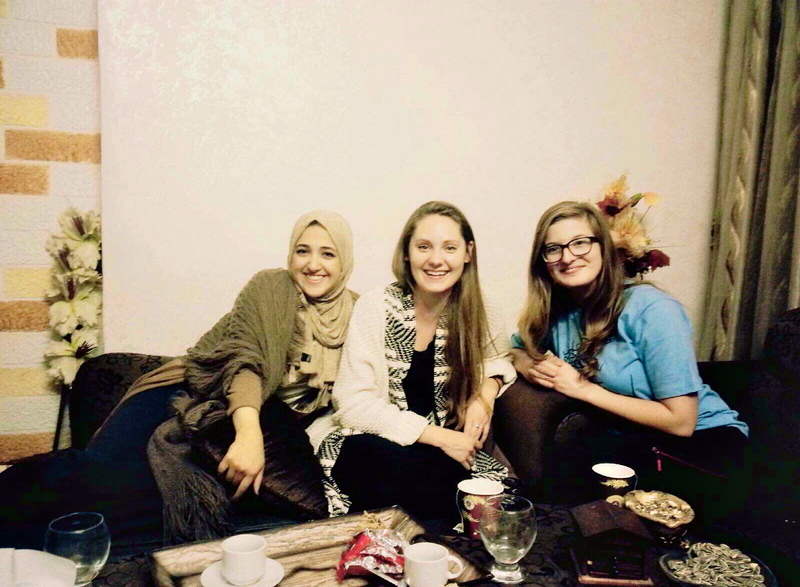 “The fact that I had gotten into this family’s home and made friends with Arabs, the fact that I love them and they love me, and that we were communicating somehow and having this great, positive relationship – making this connection – was to me the most rewarding day on my study abroad,” she recalled. Clegg, like so many other study abroad students, connected to her culture and language of study in ways that can’t compare to experiences found in a classroom. Sylvia covers the Department of Asian and Near Eastern Languages for the College of Humanities. She is a junior pursuing a double major in English and French with a minor in women’s studies. Photos courtesy of Arianna Mueller, Rachel Lott and Jamie Clegg.